The Iamsterdam City Card is an official tourist pass available for visitors to Amsterdam. It provides free entry and discounts to various attractions in Amsterdam as well as free use of city public transport. The card is issued by amsterdam&partners (formerly Amsterdam Marketing). In this Iamsterdam City Card review, let’s take a look at the costs, benefits and drawbacks of this discount card with some tips given for alternatives. How much does the Iamsterdam City Card cost? There are no discounts for either children nor old age pensioners. Can I buy the Iamsterdam City Card online? You can purchase the Iamsterdam City Card online here by selecting your validity option and dates – the card can be picked up locally from the Iamsterdam office at Schiphol airport or at the Iamsterdam store at Amsterdam Central station. Where can an I buy the Iamsterdam City Card over-the-counter? GVB Tickets & Info desks at the following stations: Amsterdam Bijlmer ArenA, Amsterdam Lelylaan and Amsterdam Zuid. Also available at OBA Amsterdam Central Library (Oosterdokskade 143); selected Shell petrol stations around Amsterdam; Canal shops, selected hotels and museums, StayOkay hostels and Camping Zeeburg. Which museums and attractions in Amsterdam offer free entry to Iamsterdam card holders? 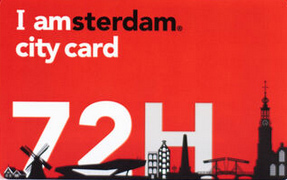 Note that this Amsterdam card offers a single entry into the above museums. Multiple entry is not permitted. The card is also valid for free entry to Amsterdam Muiderslot Castle; Frans Hals Museum and the Teylers Museum in Haarlem; the museums at Zaanse Schaans; the Zuider Zee Museum in Enkhuizen; Volendams Museum. Which major museums in Amsterdam are NOT valid for free entry with the Iamsterdam city card? Note that the card is not valid for free entry to the Anne Frank House and Royal Palace. Can I jump the queue with an Iamsterdam city card? At the Stedelijk Museum you can get your card scanned directly at the gallery entrance. If visiting the Van Gogh Museum with the card you must pre-book a time-slot online and then you can enter via the fast-lane. At all other museums/attractions you must queue up as normal and show your card at the admissions desk. What are the transport benefits with an Iamsterdam card? You get a public transport OV chip-card which is valid for free public transport (GVB trams/metro/buses only in the Amsterdam city area) for the duration of the card. It activates on first use and you need to check-in and check-out for each journey using the card readers. Train journeys (such as Schiphol to Amsterdam) and EBS Waterland buses are NOT valid with the card. You also get one complimentary canal cruise from either Blue Boat Company, Holland International, Gray Line, Canal Bus Orange Line, Rederij Lovers or See Amsterdam Canal Tours; a free boat trip between Volendam and Marken. How does the Iamsterdam card work? The Iamsterdam Card has an embedded smart card which is activated when you first use it for free entry into a museum. From then it remains valid for the period bought. Officially, the card is not transferable to another user although there are no ID / photo requirements. If you lose the card you will not be able to get a free replacement. What other discounts do you get with the Iamsterdam card? There are a number of restaurants and cafés giving a 25% discount. Just to be sure, you should mention the card before you order. These 25% discounts are valid for the entire calendar year. You get a liqueur or genever (De Drie Fleschjes), croquette roll (Van Dobben) and a free gift at the Bijenkorf and Heineken store. The card comes with a free city map which highlights all the available offers on the card. You also receive a current copy of Iamsterdam magazine, the city’s official tourist and cultural magazine. Is the Iamsterdam card worth it? 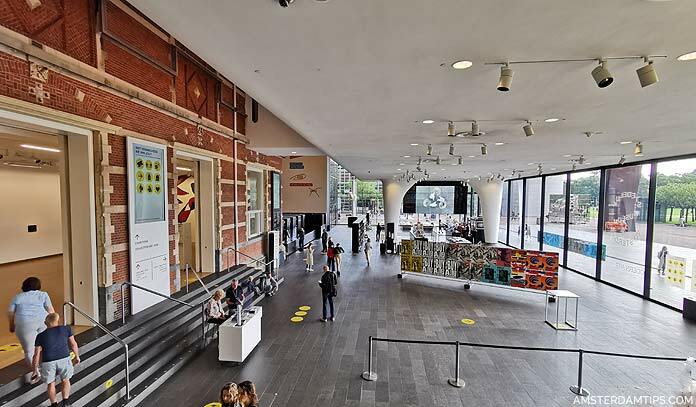 The Iamsterdam Card is not particularly cheap, however if you are looking for the convenience of an all-in-one transport and museum pass with a few freebies and discounts thrown in, then do consider the card. The 5 day card provides the greatest value giving enough time to visit a few of the free museums/attractions. In addition, the 25% discounts are valid until the year end which means more opportunities to make savings. Before purchasing an Iamsterdam City Card, make a rough plan of which places you would like to visit and whether you can get good value from the card. Any other alternatives to the Iamsterdam card? For cost-conscious budget travellers there are some other alternatives. For example, you could instead purchase a Museumkaart (Museum Card) for €64.90 (€32.45 for children 0-18) which allows unlimited free entry into 400 museums in Netherlands for 12 months. Do note that the Museum Card has recently been changed – it now only lasts 31 days with only 5 museum visits permitted. EU card holders can register online to get the full annual validity. Don’t forget that many museums in Amsterdam allow free entry to kids – this means the Iamsterdam card is probably not worth purchasing for under 10s. There are various unlimited Amsterdam travel passes from 1 day to 7 days which could be purchased. Remember – Amsterdam is a relatively small city and most sights can be easily reached on foot. Walking around is a very pleasant way to see the city and soak up the atmosphere, especially if the weather is good.